V. R. Nedunchezhiyan (11 July 1920 – 12 January 2000) was a Chief Minister of the state of Tamil Nadu, India,He was appointed chief minister of Tamil Nadu in two tenures (3 February 1969 – 10 February 1969 and 24 December 1987 – 7 January 1988). Nedunchezhiyan was a minister under the governments of C. N. Annadurai, M. Karunanidhi, M. G. Ramachandran and J. Jayalalithaa. He was born at Thirukkannapuram and was initiated into politics during his days at Annamalai University. 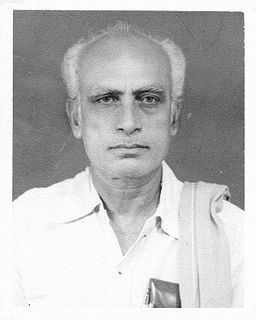 He joined the Dravidar Kazhagam party in 1944, but, along with C. N. Annadurai, moved away to form the Dravida Munnetra Kazhagam (DMK) in 1949. He died of heart failure in hospital on 12 January 2000. He was survived by his wife, Visalakshi, and a son.